We’d love your help. Let us know what’s wrong with this preview of Veronica Talks to Boys by Catherine M. Greenspan. Book 2 in The Veronica Series. When Veronica tells her boyfriend she's black, he laughs, pinches her cheek and says, "But, you're so white." Is she too sensitive, like he says? Another boy starts paying attention to her. He's mixed, too. Should she drop the boy who might have a problem with her for the other guy, who may know what it's like to live in two worlds? 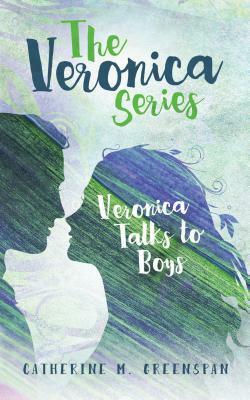 To ask other readers questions about Veronica Talks to Boys, please sign up. The cover of this second addition in the series was just as gorgeous and the first one! Although, because of the poor story quality of the last one, I just couldn’t bring myself to finish this one completely. I skimmed it and I think it wouldn’t have been my cup of tea anyway.